And mirth and gladness every breast pervade." Romaine Joseph Thorne, c. 1780. 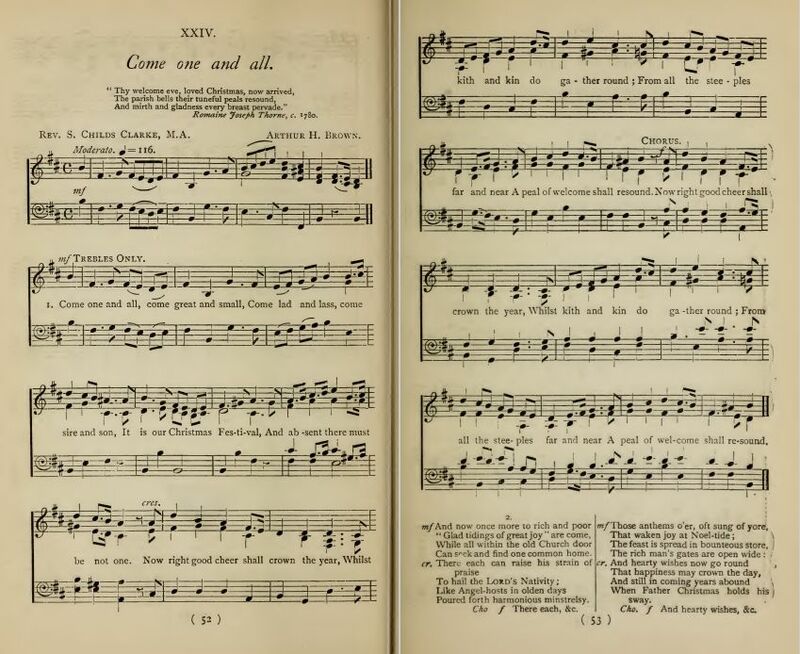 Source: Arthur H. Brown, ed., In Excelsis Gloria-Carols for Christmastide (London: Thomas Bosworth & Co., 1885), Carol #24, pp. 52-53. And absent there must be not one. A peal of welcome shall resound. Can seek and find one common home. When Father Christmas holds his sway. Sheet Music from Arthur H. Brown, ed., In Excelsis Gloria-Carols for Christmastide (London: Thomas Bosworth & Co., 1885), Carol #24, pp. 52-53. Poems, Very Considerably Enlarged and Corrected, 1808, beginning at p. 127.